Easter is just around the corner! It’s time to celebrate spring with the whimsical smiles of Annalee’s 2018 Easter Collection. From bunnies to elves, these fresh new designs will brighten your home or make a great gift. Think spring and start decorating! Don’t miss our FREE GIFT OFFER. Now through Easter, we’ll be including our 6-inch Happy Easter Bunny and a premium solid milk chocolate bunny made by our friends at Kellerhaus in Weirs Beach, NH with all orders of $99 or more! No code necessary. Hurry, this offer ends 4/2/18. Our Spring Collection if full of bright and cheery Easter decor sure to add some smiles to your spring. These bright and cheery bunnies, ducks, elves and more are perfect for Easter baskets and decorating! Our Assembled in America Collection features exclusive limited edition collectibles only available at Annalee Headquarters in Meredith, NH or on Annalee.com. Each piece is numbered and signed by the designer – perfect for collectors! Discover NEW 2018 spring additions to this popular collection including Pure Hoppiness and Strawberry Bliss designs! Hurry, this year only 250 dolls of each design are being made! Order yours today! Buttercup, Coco and Boomer are a sweet addition to any Easter basket and a great gift for all ages. 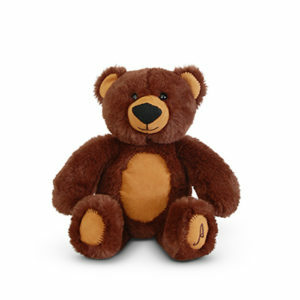 These classic plush teddy bears are oh-so-soft and ideal for cuddling. 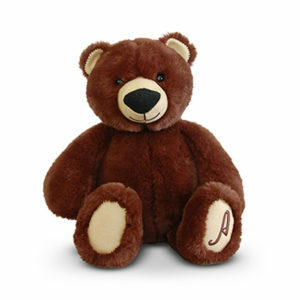 Their ears and paw pads feature a special stitch resembling Annalee’s signature furrier stitch. There is even an embroidered “A” for Annalee adorning their left paws. Bundle and save on new designs! Shop discounted mice, ducks, elves, kitties and more spring critters from previous collection! Don’t miss these bright and cheery sale designs that will have you thinking spring.